**IMPORTANT NOTE** This lock is for Left-Hinged doors only. 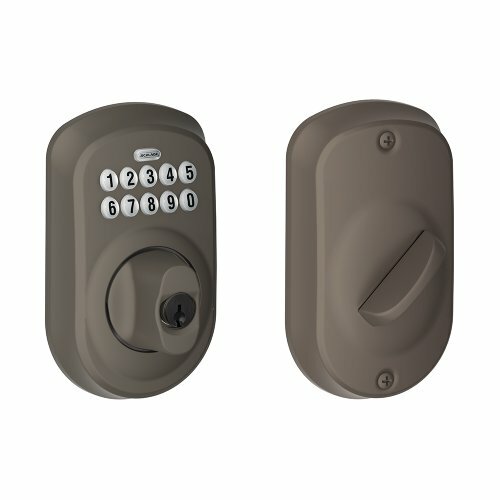 See product photos for diagram to verify your door type before ordering. Facing the door from outside, the hinges should be on the left. -Fits doors up to 1-3/4″ thick. 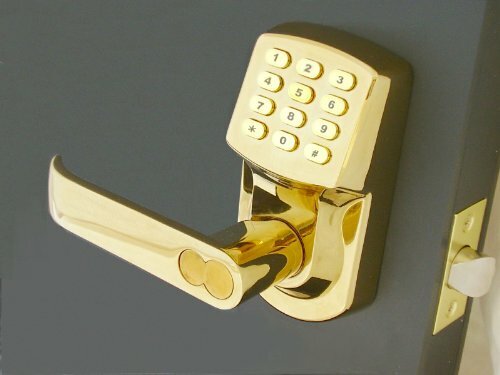 -Latch adjustable from 2-3/8″ or 2-3/4″ back set -Dimensions: 5.1″High x 2.8″Wide x 2.6″Deep -Operates approx. Simplified easy installation – No drilling required. 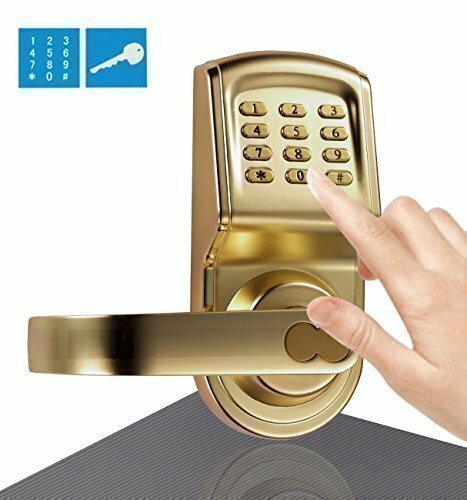 Replaces any standard door knob. Installation requires no modification to door. 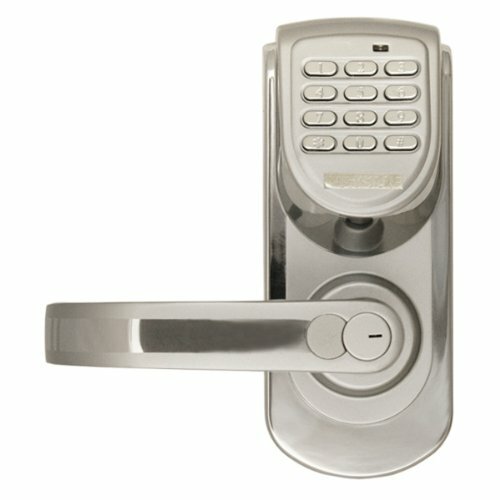 Can be installed below an existing deadbolt. 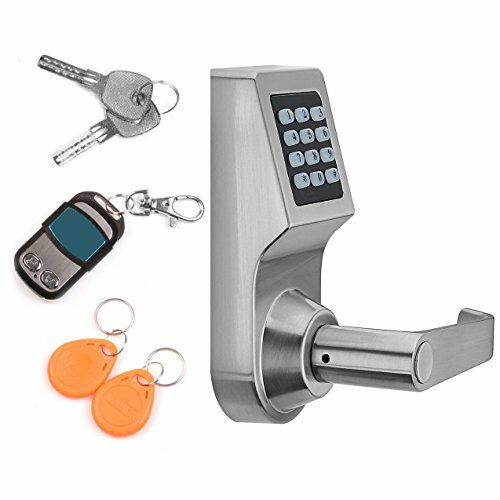 Unlocks with 1 or 2 user programmable codes. Codes can be easily changed whenever necessary. 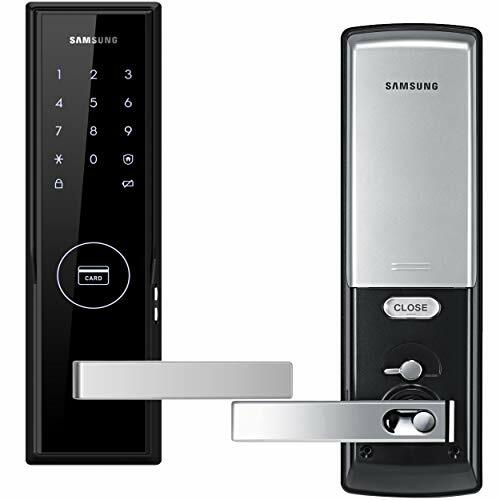 Includes all required installation hardware. 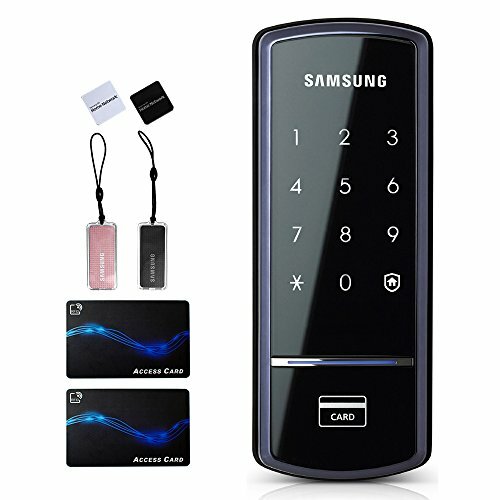 Designed for interior or covered exterior locations.